he races take place on the flat and wide crushed stone surfaced Trap Pond Bob Trail. The 50K runners will run a counterclockwise out and back on the trail and then run six clockwise trail loops. Marathon runners run a counterclockwise out and back on the trail and then run five clockwise trail loops. 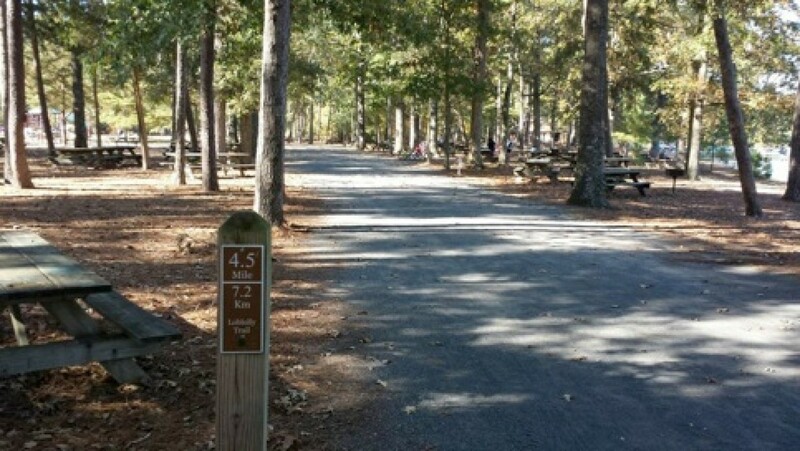 The half marathon runners run just short of three clockwise trail loops and does not start at the common finish line. All three races finish at the same finish line located near the parking lot southeast of the Nature Center. A detailed map showing the start and finish lines is posted above in the Parking section of this web page. The course is flat and fast with no hills.